The clinical literature has reported that the majority of free flap complications occur within 48 hours post operatively. 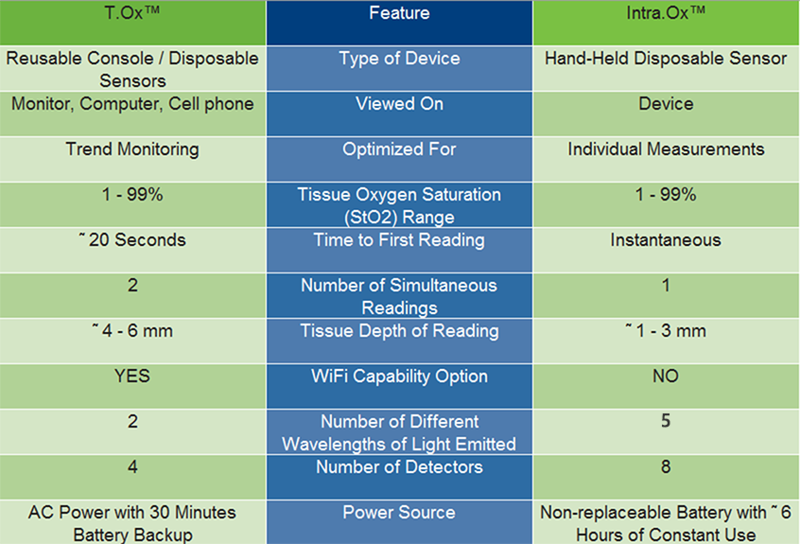 ViOptix’s T.Ox system allows unprecedented, anytime/anywhere non-invasive monitoring of oxygen saturation in targeted tissues following surgery. As the company’s first product it has secured the market leadership position in breast flap reconstructions. Remote Monitoring: The T.Ox system’s remote monitoring feature allows clinicians to use Wi-Fi to transmit data to a secure website for access from a cell phone or computer. Nurse Monitoring Stations: The system also allows incorporation of tissue oximetry data into nurse monitoring stations with a warning alarm, so they can access real-time information even when away from the patient’s bedside.